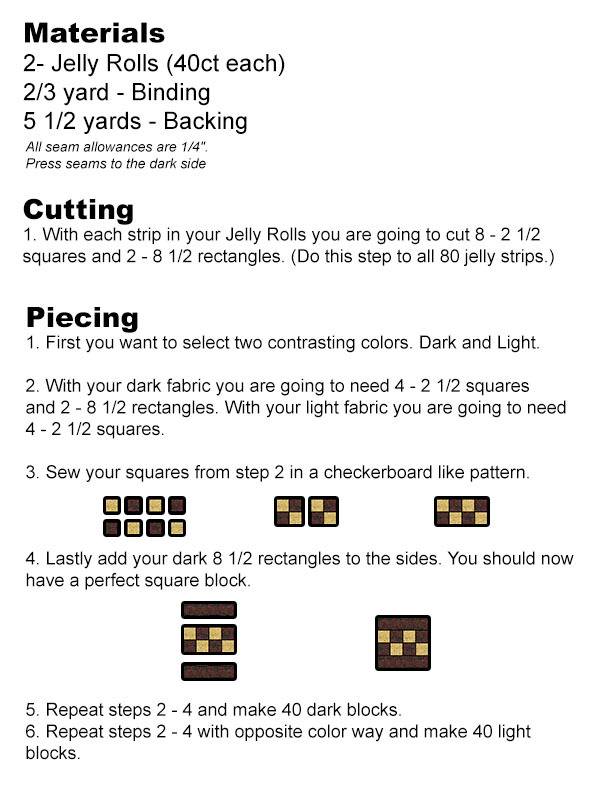 This quilt is not only perfect for jelly rolls but great for scraps! 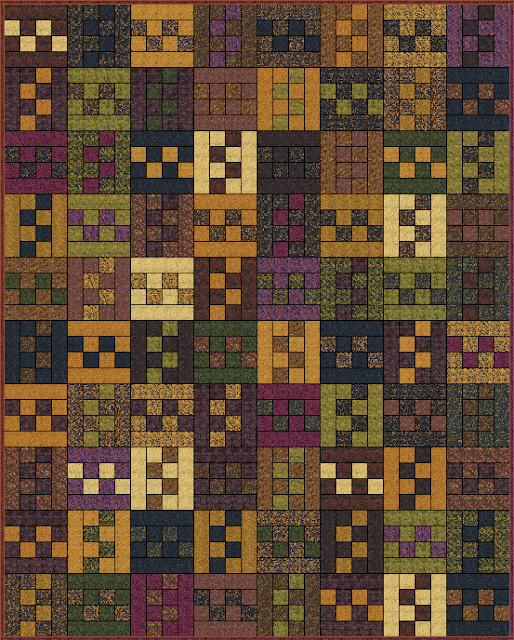 This quilt would also look very lovely in Kansas Troubles Prints. Finished Size: 65" x 81" Don't forget about our Long Arm Quilting Services that are available! =) I'd love to quilt your quilts! Fabrics used in this quilt are from Island Batiks, this is an older line but they still have strip collections that are similar and available. 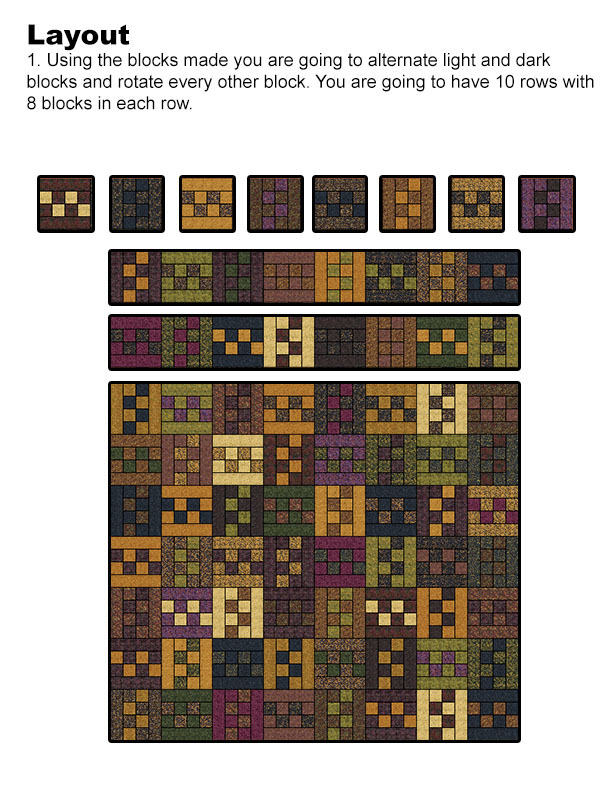 Plus like I mentioned before this quilt would look amazing in Kansas Troubles Prints and really just about anything that isn't a large print. That's a cool quilt - our QOV sew'ers made one in the kansas troubles type colors, and one in Blues - nice!